I’ve been scrapbooking since high school in the mid-1990s. I am not someone you would consider “crafty” and therefore would never have picked up the hobby if it weren’t for my mom, who is crafty. 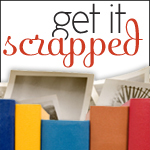 Three of the four females in my immediate family (my mom, myself and middle sister) would consider themselves “scrapbookers;” the other (the youngest sister) makes her living as a graphic designer. I didn’t know this until recently, but apparently scrapbooking is in my genetics. 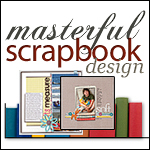 I used a computer to scrapbook way back in the late-90s, before I ever heard of anything called “digital scrapbooking” by creating frames and titles on the family computer. I started digi scrapping during grad school in 2008; right about the time what one of my favorite scrapbookers (Ali Edwards) started designing elements and templates for Designer Digitals. Digi scrapping as a grad student is perfect because you can work on a paper and then use “Cmd+Tab” to switch over the PSE for scrapbooking. When I first started digi scrapping I thought that I would continue to paper scrap because one of my favorite parts was feeling all of the textures. Those plans quickly fell by the way side and I haven’t done a paper-based layout or album since 2009. I have four 8×8 albums filled with printed digital layouts on my bookshelf. I used birthday money to buy my first version of Photoshop Elements. I think it was PSE6 for the Mac. I’m currently using the most up-to-date version of Photoshop Elements – PSE 11. My favorite supply is patterned paper because it combines two of my favorite things: patterns and color. I also really love alphas. I have 84 sets of alphas in my collection. The fact that you never “run out” of letter stickers/alphas in digi scrapping is a huge bonus for me. I organize my supplies using iPhoto. Being the huge organization nerd that I am, I’m considering a major re-do of my tagging system in the near future. I spend the vast majority of my money at Designer Digitals and have since the beginning. My most favorite designer is Katie Pertiet at Designer Digitals. I have 340 packs of supplies (e.g. kits/paper packs/element packs/brush packs, etc.) in my collection by her. She is a PROLIFIC designer. My second most favorite designer is One Little Bird Designs at The-Lilypad. I don’t have any hard numbers to back this up, but I am pretty sure that the most common color in my supply collection is turquoise/teal. I have a hard time turning down kits with turquoise in them. My most recent purchase was the “So Fine Kit” by Katie Pertiet. Evidence of #16 and #18. I have never scrapbooked “chronologically” and don’t really understand how people keep that up. My starting point for a page is almost always photos, then story, and then supplies. I love color, texture and documenting everyday life and try to use those elements well on my pages. Oh! I hadn’t been to your actual blog in a while… love this new about page.